Did you know that almost one-third of first-time customers won’t make another purchase within the course of a year? While you are out there looking for ways to acquire more customers, what are you doing to make sure your existing ones stay happy and remain loyal to your eCommerce store? And even with the overwhelming evidence that it’s 5x more costly to obtain new customers than to retain existing ones, a lot of eCommerce businesses still place customer acquisition and brand awareness on top of their marketing priorities. So today, we will put eCommerce customer retention as the #1 eCommerce marketing priority and understand why it’s imperative to preserve the relationship you’ve established with your existing customers. You will also know marketing techniques on how to engage your customers to continue buying from you and mitigate the risk of switching to your competitors. You will find broad definitions of customer retention as the process of reducing the number of customer turnovers. But, that doesn’t quite give you the full grasp of the term. What is that exactly? In the simplest sense, customer retention is all about the actions taken by a business to make sure you keep your existing customers continue buying from your eCommerce store for an extended period of time. While customer retention and customer loyalty are always combined strategies, they are two different marketing disciplines. Customer loyalty is a much long-term strategy. Think of customer retention as a measure of whether current customers continue to do business with you but they may still engage with your competitors. They are retained simply because they have not purchased from other businesses yet. As for customer loyalty, it’s already expected for the customers to prefer your business. The key to loyalty is when you won’t have to ask your customers to buy from you, instead, you’ll see them advocating your brand to others. They also show a certain resistance towards your competitors. The best customers for any eCommerce business are the returning ones. Because eCommerce businesses will have to spend less on advertising or marketing incentives, returning customers are way cheaper to do business with. A 5% increase in customer retention strategy can lead to as much as 95% increase in revenue. Current customers are 50% more willing to try new products and spend 31% more. The likelihood of selling to an existing customer is 60 – 70%, compared to the 5-20% probability of selling to a new prospect. In short, even if you get to spend less on marketing, you still get a better return on investment with customer retention than acquisition in the long run. Before you can build or improve your retention marketing, you need to measure where you’re currently at in terms of your customer retention performance. The ability to track and measure your retention metrics will confidently enable you to prepare, execute, and tweak your future plans. There are many customer metrics that will help you measure how well you are retaining your customers. Let’s see which ones apply to you the most. Take note, however, that whichever you select, the key is the consistency of use. Perform regular checks to set your goals, identify improvements, and achieve sustainable growth. Customer churn rate measures the percentage of customers who have not returned to make a purchase over a specific period of time. The period depends on the interval you want to measure. You could measure CCR by a week, month, quarter or according to your business needs. Because your CCR is an indicator of the number of customers have stopped purchasing, you want this number to be as low as possible. In a standard eCommerce environment, you want to measure this on a monthly basis. You will see that you have an effective retention strategy if your customer churn rate slims down over time. Repeat purchase rate measures the percentage of existing customers who performed more than a single purchase at your eCommerce store. Measuring your RPR is important because even though repeat purchasers only make up 8% of your customer base, but they generate 41% of your total annual revenue. The RPR will be a great indicator to gauge your overall customer shopping experience and how it impacts purchase decisions. The higher your return purchase rate is, the better the retention program you have in place. Purchase frequency measures the average number of times a customer performs an order within a particular time period, such as monthly, quarterly or annually. You can also set your preferred time frame but we recommend to measure this on a yearly basis. While PF has similarities with RPR, it is a more effective measure to know how often your customers make a purchase on an average. With this, it is essential to include only distinct purchasers in your calculation. A sign of a strong retention strategy is a high purchase frequency. And as your PF increases, you should also expect a boost in your revenue because your average customers make more purchases than the regular. The average order value tracks how much your customers spend each time they place an order. This customer retention metric allows you to identify how profitable you make for each purchase transaction and also to measure the long-term value of each of your individual customers. The higher your average order value, the more money you make and the less energy and budget you need to spend to get new traffic. Customer Lifetime Value is a prediction model that evaluates the financial value a business will generate from its entire relationship with a particular customer. Customer lifetime value is much more intimidating to calculate compare to the other four retention metrics. However, there are already analytics tools to help you calculate CLV conveniently. 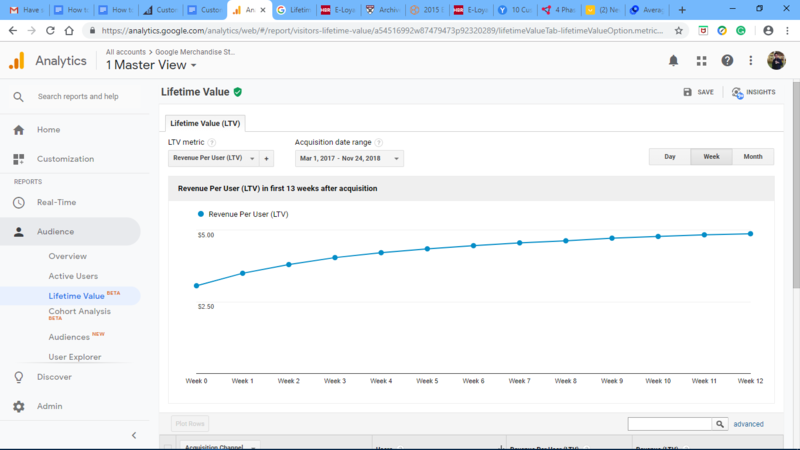 For example, Google Analytics’ Lifetime Value will provide you with access to a graph of your customer’s predicted long-term revenue. If the graph shows an upward trend, it means that your retention strategy is performing well. And if you achieve a higher CLV, the higher the probability that the customer will remain loyal. As we know, customers who stay loyal, they are more likely to spend more with you over time. Customer retention strategies should begin by asking the correct questions. What makes your customers keep on coming back to you? What makes them go away? What makes them satisfied? What can you do to make them stay? A successful customer retention program starts by knowing what drives your customers to stay and return to make a purchase. Blindly implementing your program may not have the desired outcome that you want to achieve or you won’t even know how to measure its results. So let’s now understand the fundamental retention drivers that will help you build around your retention program. What you need to do is identify what strategies you have currently in place to improve each of the retention drivers. The lack or absence of a strategy for each of them reflects a poor retention program. Customer retention is an outcome of the following drivers below. How well you do with this 4 customer retention drivers will have a positive impact on your overall customer retention. Aside from understanding what makes your customers stay, also identify their reasons for leaving. Learning what pushes them away will give you foresight and ability to design risk mitigations. In a study, 70% of customers decide to discontinue doing business with a company because of bad service. Now that you understand what drives your customers to keep on purchasing from your eCommerce store and their reasons for leaving, you can already outline how your customer retention program should run. There are users who will subscribe to your email list or open an account to your eCommerce site and become inactive since then. It is vital you have a win-back campaign to re-engage with these inactive customers and retain them as long-term customers. Businesses are usually good with their proactive campaigns and lack strategies focusing on after the sale. Follow up programs must entice customers to make another purchase. For example, you can bring back your previous shoppers by setting up a follow-up email campaign. 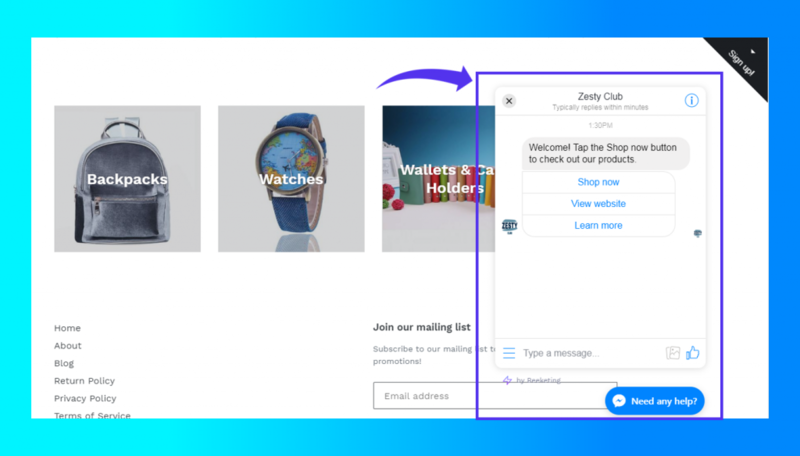 You can automatically do this using Mailbot, a marketing app that helps you enable an automated email to remind and engage with your customers who haven’t come back for 30 days, thus, increasing your retention rate. Value-add marketing simply means delivering more than what your customers have asked for. Added value in marketing can transcend through financial (e.g. free shipping, discounts) or non-monetary aspects (same-day delivery, free returns). You can already make simple but effective value-added marketing in your site by offering last-minute deals in the checkout page. 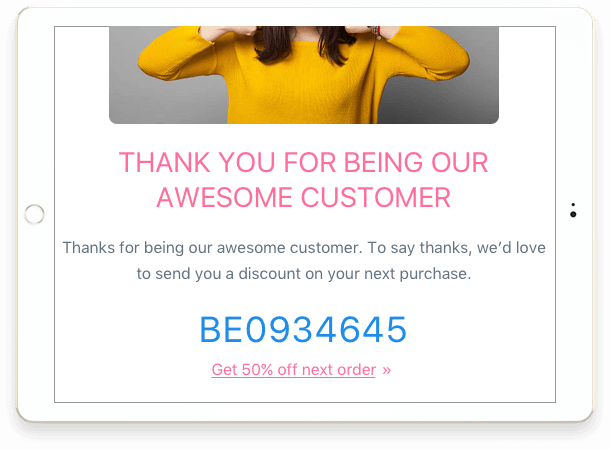 This will help you change customer’s intention of leaving your site without completing their order. 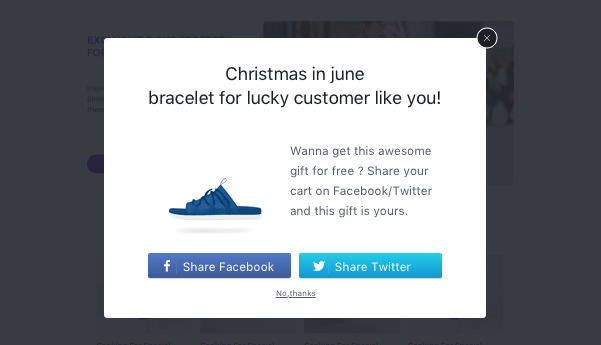 The Checkout Boost tool has this popup feature to display irresistible value-add offers to your customers. You can see more types of offer you can create with Checkout Boost app here. Community marketing is a retention and loyalty strategy that revolves around forming an engagement channel for existing customers of your brand to interact and communicate and presence. This community can occur through a blog, social media groups or other online community platforms. Give your customers an avenue to be in a community where they can connect with like-minded people. Employing communal programs evoke strong emotional connections to the brand and customers become more significantly less predisposed to competitor switching. 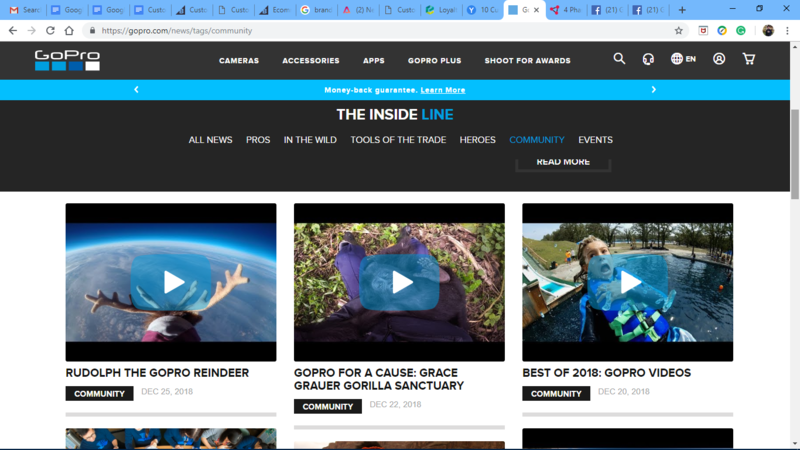 For example, GoPro understood early on their product development that building a community of users will a critical component to their success. 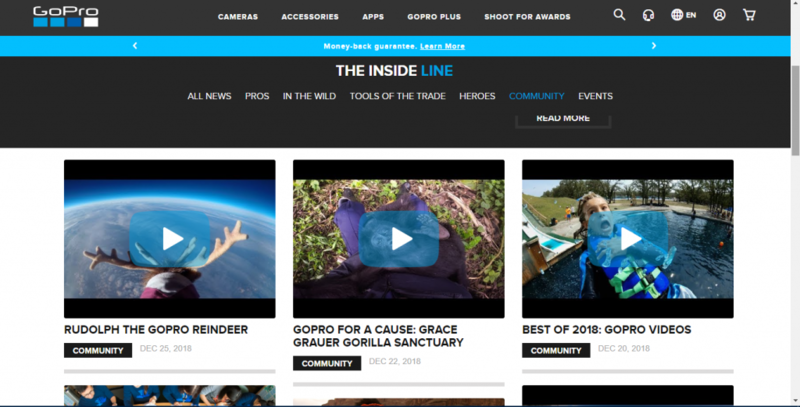 On their site, they dedicated space for community sharing and also has a Facebook Community which already more than 10 million following. 33% of customers have ended their relationship to an eCommerce business with the lack of or no personalization at all. The one size fits all marketing is already an old age practice so make sure that you apply eCommerce personalization to retain the customers who demand a personalized shopping experience. Dynamically display unique and individualized shopping experience by analyzing your customer data such as demographics, browsing behavior, buying history, and other data relevant to their shopping journey. 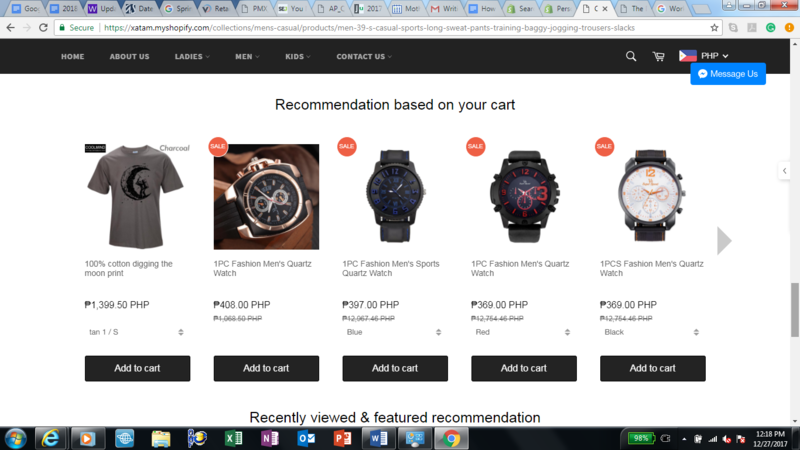 For instance, you can offer targeted cart recommendations. This way whenever shoppers add an item to their cart, they will be displayed with relevant products which may stir their interest based on the products on their cart. The automation tool from Personalized Recommendations can help you design relevant product recommendations. For example, Xatam has suggested products based on the item added by the shopper to improve shoppers’ shopping experience. We’ve mentioned earlier about how exceptional service can help you delight your customers and improve your customer retention rate. To provide exceptional customer service, offer a live chat so that customers can have easy access to reach you anytime at their fingertips. The purpose of a live chat is to help shoppers engage with your eCommerce business in real-time and as an alternative to phone or email. Live chat is a more convenient mode of customer service. You can employ you live chat using the Facebook Chat tool which allows your customer to use their personal Facebook Messenger accounts to directly initiate a conversation with you, making things a lot easier for them. Not only that a live chat is a great form of customer support, but it also has untapped potential for sales. In fact, 33% of customers who uses Messenger to communicate with a business wants to make a purchase or place an order. Today’s customers are more empowered than ever, making traditional customer retention strategies more obsolete. To freshen up your customer retention program, understand why customers choose to stay, what factors push them away, and how you can maximize the value of your existing customers. A strong customer retention strategy will not only make each customer more profitable, but it also focuses your attention on making sure every customer keeps engaged, happy, and coming back.